My life has been completely transformed by God through the sacrifice of His Son and the gift of His word. That didn’t happen quickly, though. 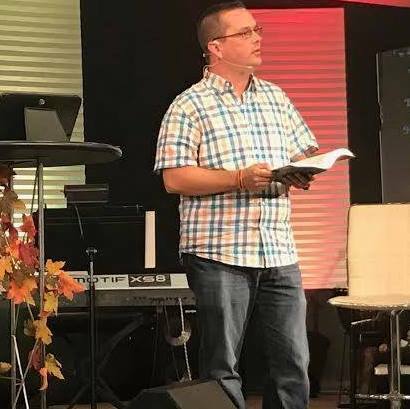 It took lots of hard lessons and years in Bible school and Seminary, but once I finally started letting God’s word penetrate my heart everything changed. Sharing that transformation with others has become my passion. My goal is to help people discover and live out their God-given design through the practical and engaging teaching of God’s word. Each time I get the opportunity to speak I bring with me years of experience as a husband, father, chaplain, and pastor who has learned the hard way that the principles in God’s word have the power to help us live the life we were designed for. Please contact me through the form below if you would like more info about having me speak at your event.